Welcome to Fall 2018! 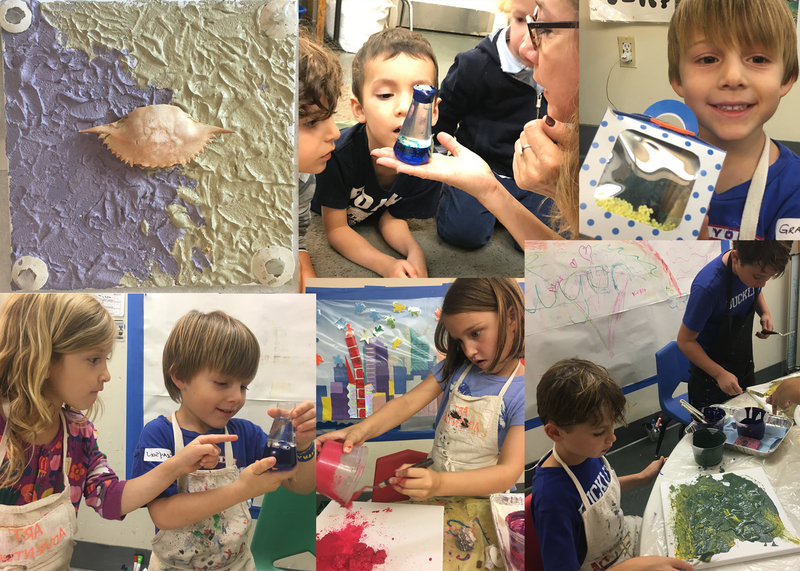 On our agenda these 1st 2 weeks were creative challenges & an artistically-inclined science experiment: Liquid Oceans, Summer Reflection Assemblage boxes as well as Impasto Painting! We explored All NEW Art tools, NEW Media & NEW techniques with Modern, Contemporary & Multicultural art. “It’s so much more than an art class!” -Daphne (Age 8) on her first day. That’s right; It’s an ART ADVENTURE! BOOK NOW (with proration) or JOIN US for a $45 Trial Class to see what we do!